The need for water heater replacement in Chandler, AZ is a common event. Most homes will go through it a few times during a lifetime. It happens in all climates and when it happens, it is necessary to call an expert. Do not try making it a do it yourself job, this can lead to unwanted complications. So, get a hold of a company that knows about water heater repair and replacements. We are just the company you need to call on. So, give us a call before anyone else, because we are the specialists your home needs. 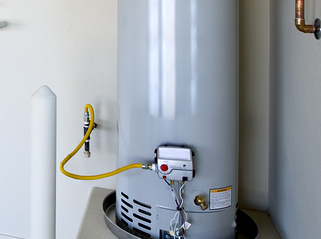 Having a water heater replacement specialist at working for you, will insure the work gets done right. Now is a good time to have your water heater inspected, before there are any major problems to deal with. Often it is the unexpected problems that cost the most, so regular maintenance is a good idea for any home heating system. Still it doesn't hurt to get regular maintenance. In fact, being prepared for replacement water heater installation will save you time and energy, but also money. Therefore, we want to be the one name you call for water heating problems in your household. When water heater replacement in Chandler, AZ is important, it usually is necessary. Nothing is more key to home utilities running right. Get the installation and replacement of your water heater done by professionals. That way you can be sure the job is done right the first time. We are ready to be the company to service all your water heating household needs. Give us a call and schedule an appointment. We are the best at what we do, because water heating is our business. We love it and we love servicing customers just like yourself. Don't wait to call, when you need to replace your water heater.